These are such fun treats to make for friends and family. Most people love a cup of hot cocoa on a cold night. So to make it even more fun to make I added chocolate bits and mini marshmallows. Yummy!! Now who wouldn’t want to receive this? 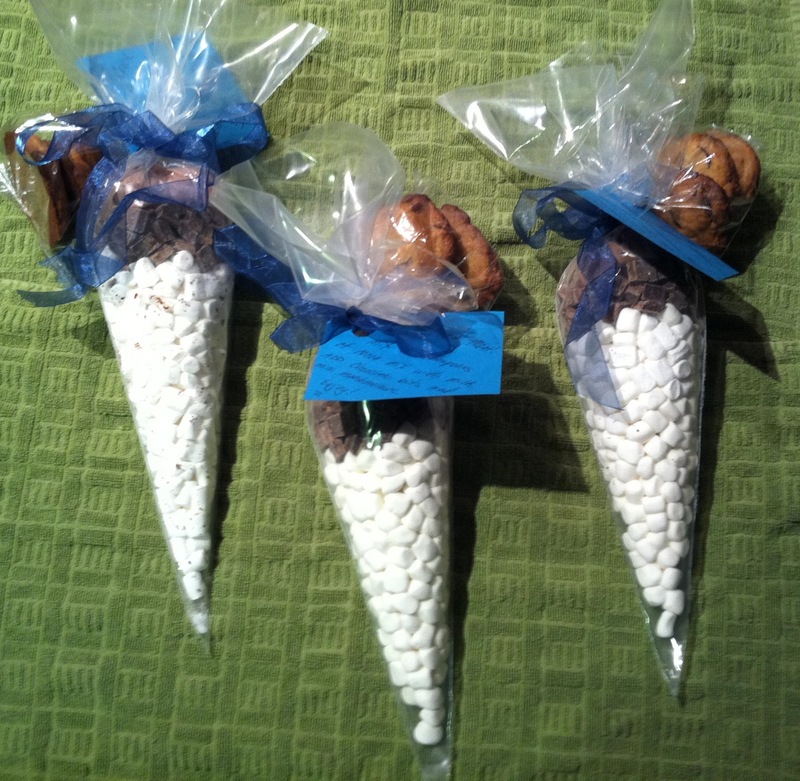 These also make great treat bags as gifts for any occasion. Just take a pastry bag and fill it with 2 cups of mini marshmallows. Then add 1 cup of chocolate bits. Place the cocoa in a separate plastic bag to place on top of the bits, I added 6 tablespoons. This will be enough to make 3 mugs of hot cocoa. To make it extra special I baked chocolate chip cookies. 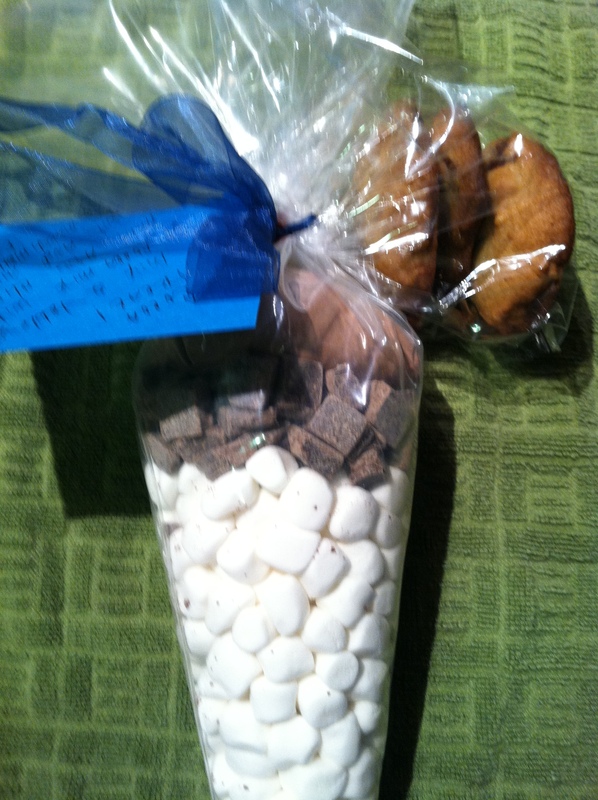 I placed 3 cookies in a separate baggie and tied it all to the cocoa treat. You can enjoy a delicious home baked chocolate chip cookie with every mug of hot cocoa! Enjoy!